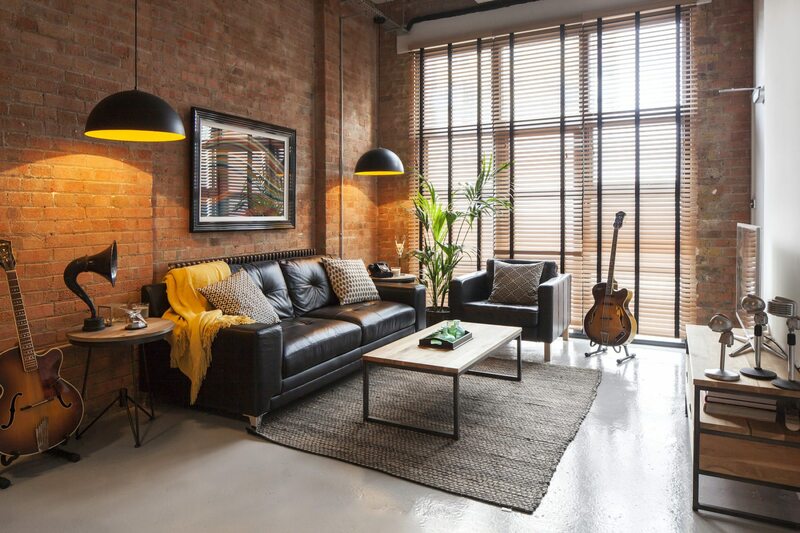 Historic Pink Floyd Recording Studios transformed into two London industrial warehouse flats. 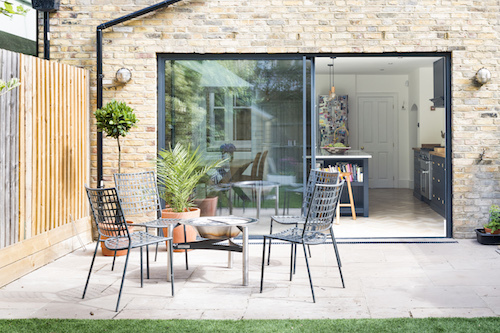 As featured in the Evening Standard. 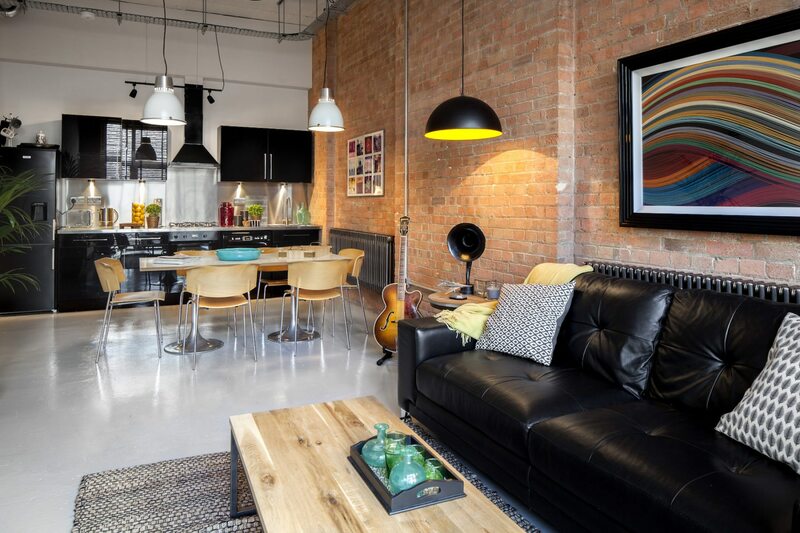 We worked with former Pink Floyd studio manager and her musician husband to transform the iconic Britannia Row Studios into two stunning industrial style flats. 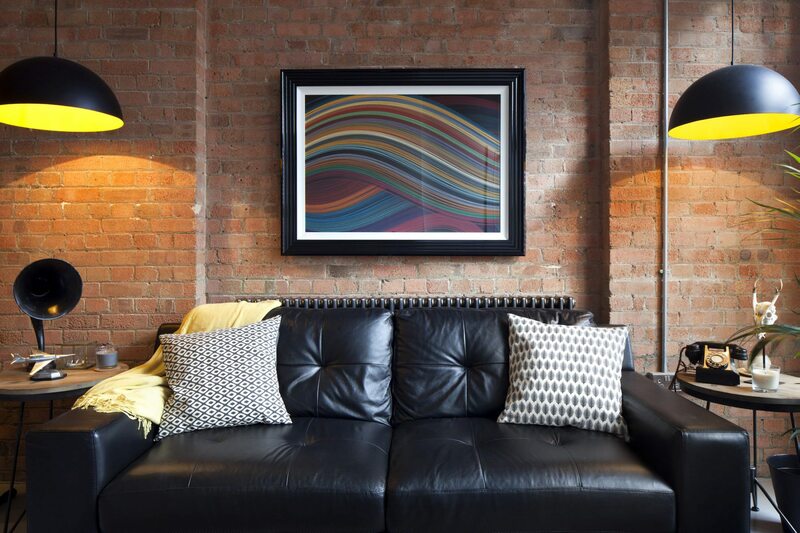 Some of the biggest names in music history recorded at the studios from Björk, James Blunt, Kate Bush and Pete Doherty to Joy Division, Manic Street Preachers, Kylie, New Order, Pulp, Snowpatrol, Westlife, Supergrass and original founders Pink Floyd themselves. 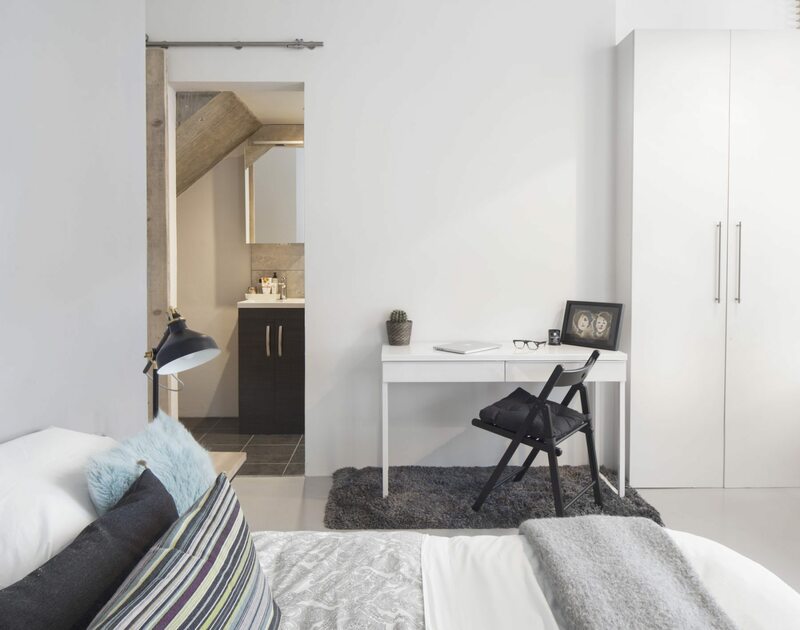 The existing studio space comprised of a two storey recording studio with live rooms, vocal booths, drum rooms and production suites. 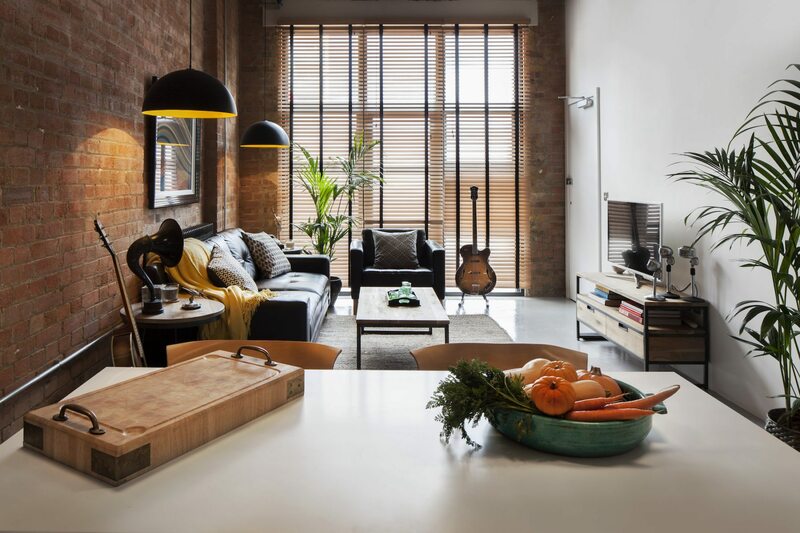 The new London property, which has been divided in two by a bespoke concrete staircase, boasts exposed brick walls throughout and is designed to remain true to its rock and roll history. 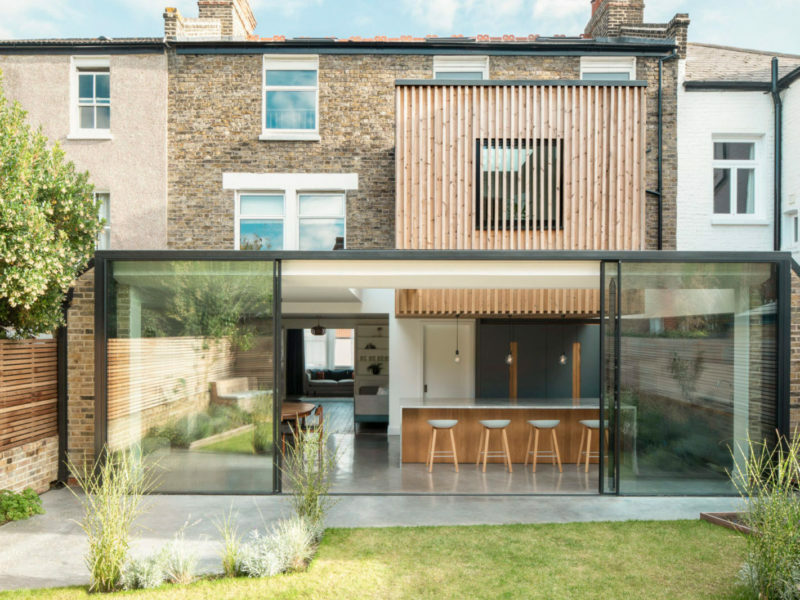 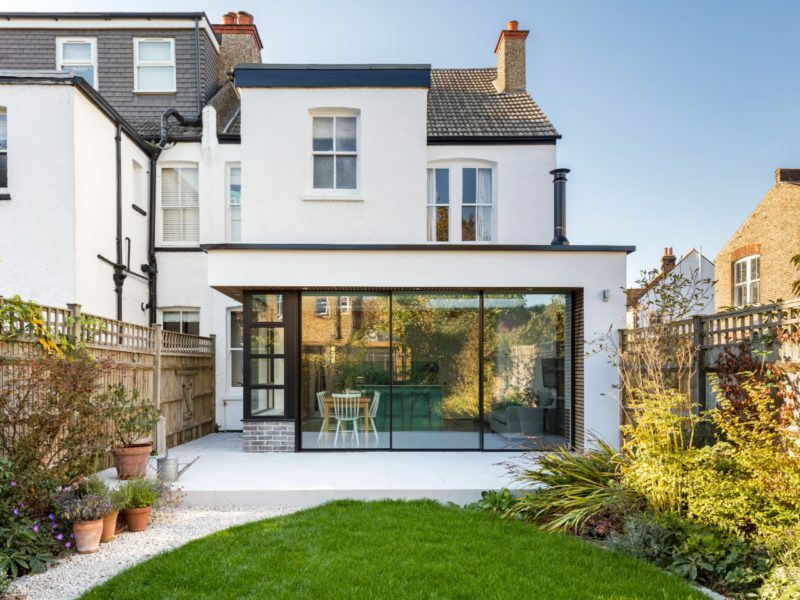 The renovation entailed stripping out the 1ft thick sound-proofed interior walls back to the bare brick. 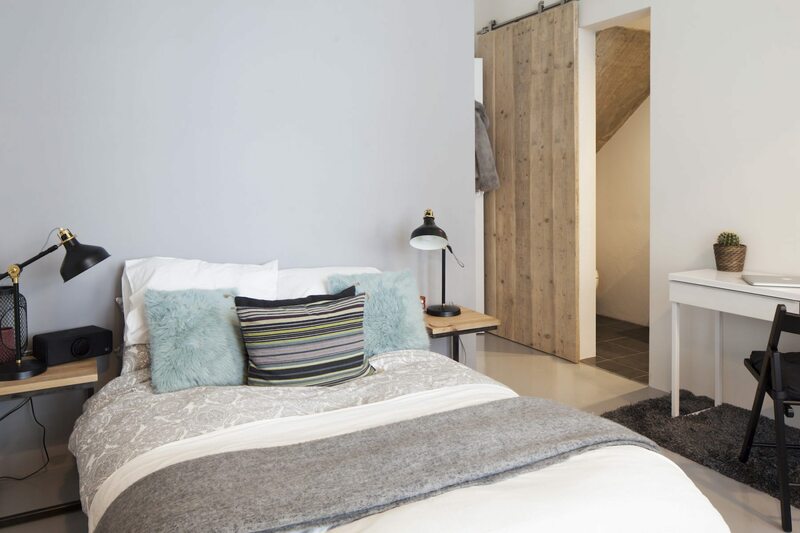 Exposed pipes and concrete floors were restored and retained as part of the industrial look. 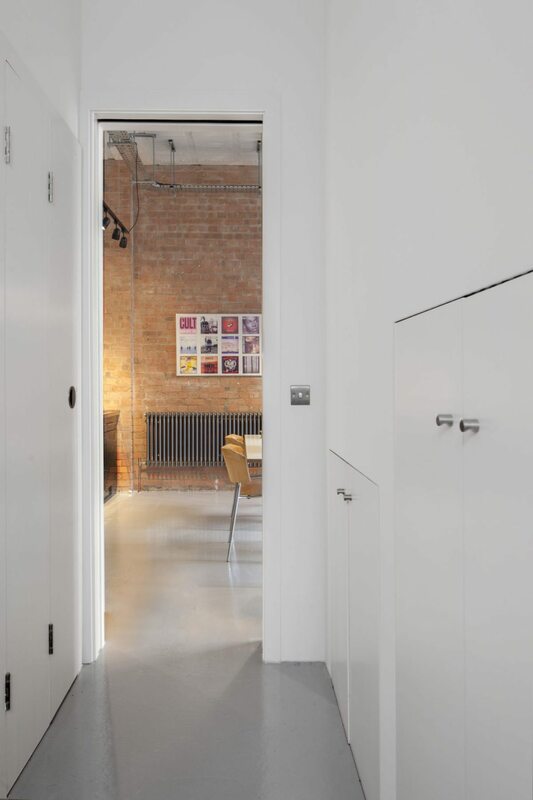 Project highlights: Exposed brick, exposed ducting, full heat recovery ventilation system, reclaimed sliding doors and bespoke cast concrete staircase.